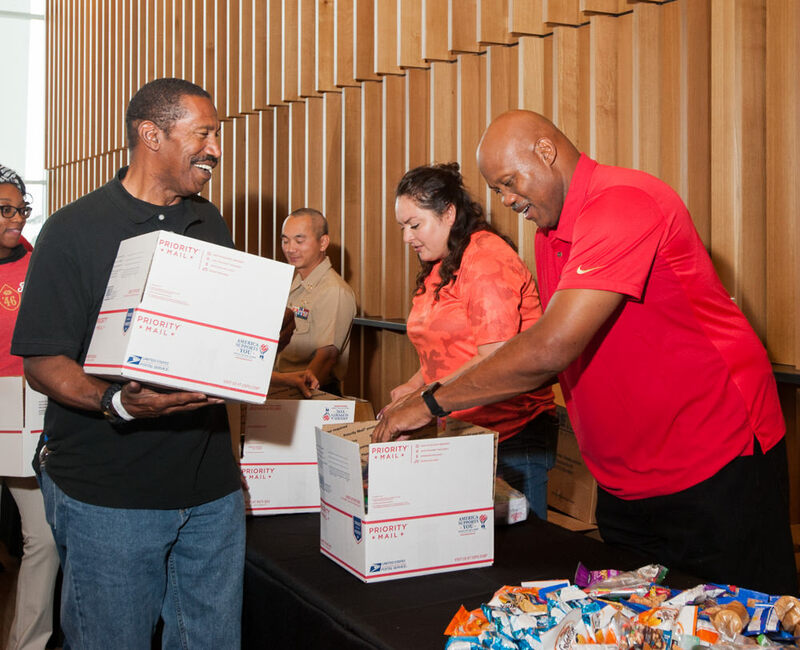 Operation Care and Comfort came to Levi’s Stadium on Monday, Oct. 29. 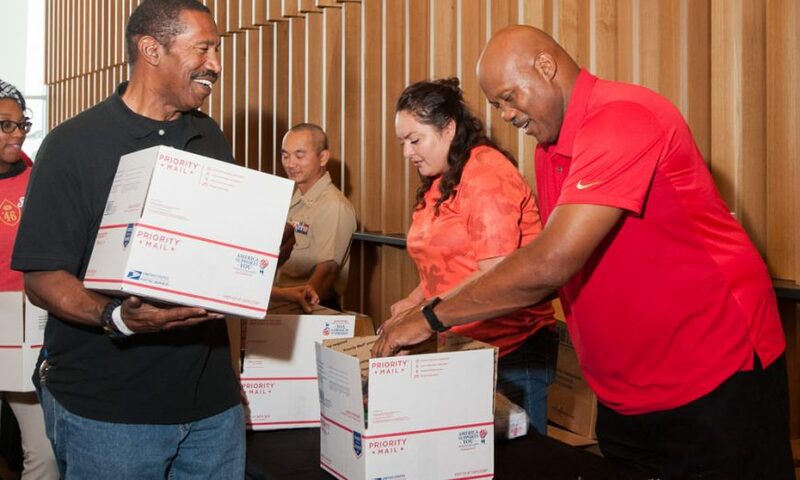 Together with the front office staff and player alumni from both the San Francisco 49ers and Oakland Raiders, they assembled care packages for troops overseas. With the Raiders and 49ers playing their last game before the Raiders move to Las Vegas, this was seen as a chance for both organizations to work together for a worthy cause. Pictured here are Raiders Linebacker Jerry Robinson and 49ers Defensive End Dennis Brown. Robinson played for the Raiders 1985 – 1991 and Brown played for the 49ers from 1990 – 1996. 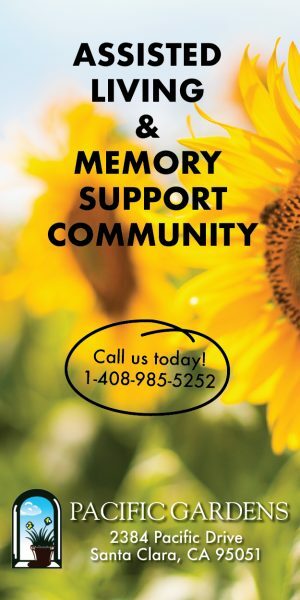 For more information on Operation Care and Comfort, visit their website www.occ-usa.org.